We are a reliable and reputable roofing and guttering specialist with a wealth of experience in church roof & gutter repairs and inspections. Regardless of the size or scale of the job, each of our roofing specialists will work in a proficient and professional manner to ensure that any remedial work is completed to a high standard. Maintaining tall buildings requires experts with specialist knowledge as there is very little margin for error when it comes to carrying out a church roof repair. Our skilled steeplejacks can gain access to even the most inaccessible places and carry out a variety of work to keep your beautiful building in good condition. – Storm damage from high winds or bad weather when prompt repair is essential. – A poorly maintained roof which has eventually caused water damage to the interior. We offer a full service of repair and maintenance, including all types of roof repair, guttering, fascias and masonry. We recommend that all rainwater gutters and discharge pipes are cleaned in the autumn season, once all leaf fall has finished. This prevents blockage and consequent water damage to the interior and exterior of the structure. All lead flashings, valleys and gutters can be examined at close quarters, using our quick and inexpensive rope and ladder access techniques. This avoids the use of expensive cherry pickers, plant and scaffolding and enables us to access ‘hard to reach’ places. As all ropes are removed at the end of the working day, access by unauthorised personnel is limited reducing the possible theft of lead and copper. Using rope access also eliminates scaffold damage to lawned areas and the blocking of footpaths. 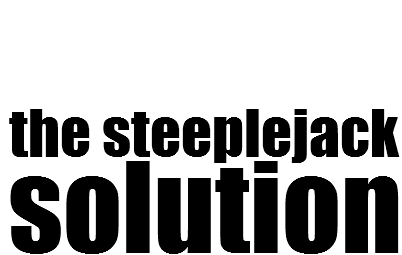 It also minimises the disruption to the everyday work of the premises. 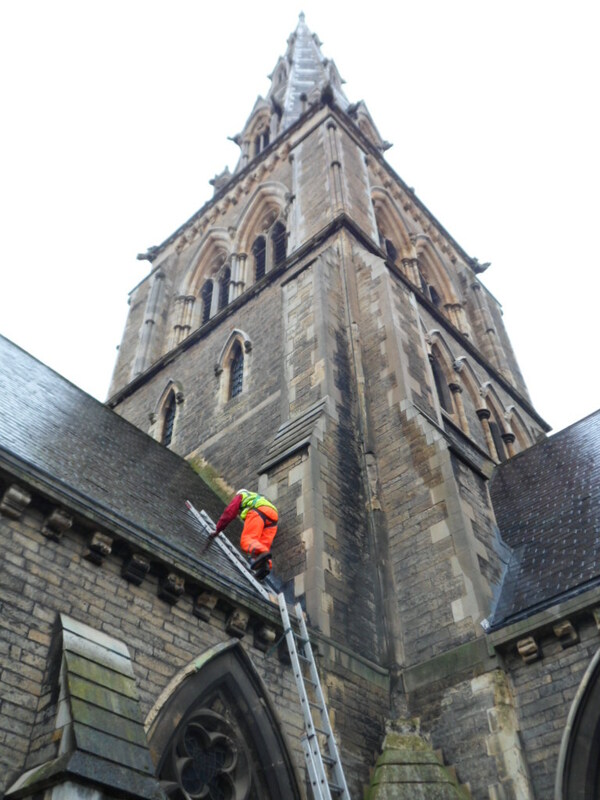 We don’t just carry out church roof repairs and maintenance, our steeplejacks can also carry out a range of other tasks including carrying out visual and photographic inspections and erecting weather vanes, flag poles, halyards and architectural metal work.